Developed in conjunction with renowned plastic surgeon, Dr. Michael Fiorillo, Hydroxatone's unique proprietary formula contains a combination of leading anti-aging ingredients in one anti-aging system. The result is an industry leading skin care formula to reduce the appearance of aging from fine lines and wrinkles, dark circles and even age spots while helping to minimize the damaging effects of stress and the environment. Daily use of Hydroxatone will make your skin look and feel smoother and younger in less time. Aging is inevitable, but its most ravaging effects on the skin can often be mitigated with the right products and the right skincare practice. That's the guiding mission of the Hydroxatone brand, which offers formulations that tackle common aging symptoms on both the face and the rest of the body. There are two broad categories of aging: intrinsic and extrinsic. Intrinsic aging refers to the genetically dictated part of the process, the onset of traits such as skin dryness and degraded elasticity that proceeds on a different timetable for everybody. Extrinsic aging is sometimes called "premature aging," and stems from our own lifestyle choices and our exposure to the environment. Causes of extrinsic aging are diverse, running the gamut from a poorly balanced diet heavy on refined carbohydrates to unprotected tanning from natural sunlight or an artificial machine. To combat wrinkles, age spots, sagging folds, raccoon eyes, and other regular dermatological manifestations of aging, the Hydroxatone line employs advanced formulations integrating skin-boosting ingredients. Three of the major ones are Matrixyl 3000, Argireline, and Hyaluronic Acid. The first two are peptides that promote collagen production, which can diminish the appearance of creases and wrinkles. Hyaluronic Acid, meanwhile, is a significant hydrator--capable of holding some 1,000 times its weight in water--and helps improve your skin's softness and smoothness. 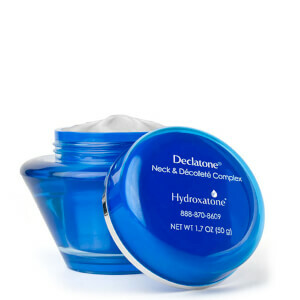 Whether it's the corners of the eyes or the décolleté, Hydroxatone has the tools for restoring some texture and vibrancy to age-pummeled skin. It doesn't matter how old you are; no one wants to see signs of aging developing on their face. Whether you're noticing crow's feet in the eye area, sagging skin along the neck, expression lines around your mouth or age spots on your cheeks, signs of aging can greatly impact your self-esteem and make you feel less confident in social situations. 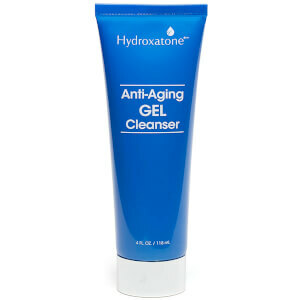 If signs of aging are keeping you from feeling truly beautiful, Hydroxatone Products are for you. The entire lineup of Hydroxatone Products was developed to address signs of aging by boosting collagen production and smoothing the surface of the skin to minimize the look of fine lines. In clinical tests, Hydroxatone Products were shown to reduce the appearance of signs and aging by as much as 68 percent in users of all ages. Discover the lineup of age-fighting products available from Hydroxatone to battle wrinkles and feel truly beautiful. Since their debut, Hydroxatone Products have been favorites with people who want younger, healthier complexions. The brand is known as a leader in anti-aging skin care, thanks to its continuous development of new ingredients like the Hydroxatone 10 Complex. The Hydroxatone Intensive Anti Wrinkle Complex contains a powerful dose of the revolutionary Hydroxatone 10 Complex to give you anti-aging results that you never thought possible. The complex is safe for all skin types and doubles as a moisturizer, so that you can keep your skin hydrated and resistant to creasing and furrowing while reducing the look of fine lines, wrinkles and age spots on your complexion. The Hydroxatone 90 Second Wrinkle Reducer makes a nearly instant difference in the look and feel of your skin upon application to temporarily reduce the appearance of fine lines and wrinkles. Perfect for applying before a big event, the product tightens the skin and stays in place until you wash it off. Undetectable once applied, the treatment can be used prior to makeup application and is safe for all skin types. The Hydroxatone Hydrolyze Advanced Under Eye Formula contains ingredients to treat all of the problems that can plague the under eye area, making it a convenient solution for your skin. The product features biophytex, eyeliss and haloxyl, which work together to brighten the skin, minimize fine lines and reduce puffiness and under eye bags. With regular use, the powerful formula is also clinically proven to make dark circles less apparent.